The Town of Moreau was established as a municipality in 1805. It was named in honor of French General Jean Victor Moreau, a renowned military commander. Originally, the town was part of the neighboring Town of Northumberland. Located on the Hudson River in northeastern Saratoga County, the Town of Moreau is 15 miles from the Saratoga Race Track, Racino, and Saratoga Performing Arts Center. Moreau is also 10 miles from beautiful Lake George and the Adirondack Park. The Village of South Glens Falls and the hamlets of Fenimore, Reynolds Corners, Fernwood, and Fortsville reside in the town. Various American Indian peoples occupied the town prior to European arrival. The border between the Algonquian and the Haudenosaunee Peoples fell on what is now Moreau. In the 1750s, the area saw an influx of European settlement. One of the oldest structures in Moreau, the Parks-Bentley Place, was the residence of the town’s original settlers. The Parks-Bentley Place is now the home of the Moreau Historical Society and Museum. The town is also the site of the Royal Blockhouse, a British fortification that was part of the Fort Edward/Rogers Island military complex during the French and Indian War. Moreau is also home to Grant Cottage, the summerhouse of President Ulysses S. Grant. He died there on July 23, 1885. There are ample recreational activities available in Moreau. Moreau Lake State Park covers over 4,000 acres of pristine forestland. It was rated by Reserve America as one of the Top 100 Campgrounds in the nation. The Harry J. Betar, Jr. Recreational Park highlights the town. The park provides acres of athletic fields, pavilion facilities, and trails for hiking and cross-country skiing. The town also offers several riparian activities on the Hudson River including boat launches, beaches, and picnic areas. 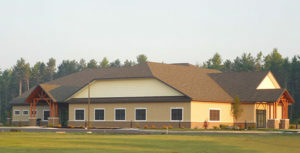 Many community services in the town are offered through the Moreau Community Center, the South Glens Falls Central School District, the South Glens Falls Fire Company, and the Moreau Emergency Squad.